Are Spot Satellite Messengers Good Alternatives to PLB? You are here: Home / Outdoor Gear / Are Spot Satellite Messengers Good Alternatives to PLBs? Are Spot Satellite Messengers Good Alternatives to PLBs? I’ve been looking at the Spot Satellite Messenger for years thinking it would be a good idea to be able to send messages home when I was in the back country and out of cell phone coverage. Are Satellite Messengers a Good Alternative for PLBs? Comparison of One and Two-Way Satellite Messengers to PLBs. Since I have followed the development of Spot satellite messengers and now the new Spot Gen3, my largest concern has been the many complaints about their customer service often described as “rude” and “non-existent” and “insulting” and they don’t seem to be any better today despite the fact that they have new competition from Delorme. How can a company survive with such bad service? It must be because people are desperate for a product and service that keeps them in contact while they are off the grid. If you want to leave messages for friends and family or have them follow your track across the wilderness or just down the highway, satellite messengers or ACR’s 406Link service for PLBs (mentioned in previous posts) are the only products that can do this and Spot has been the only player and Spot still offers the cheapest options. The older, less expensive Spot Messenger is still available and received an average rating of 3.3/5.0 from 210 reviews. Most people (55.7%) gave good or excellent scores of 4 or 5, 8.1% gave a score of 3 and the rest (36.2%) gave it low scores of 1 or 2. Despite the many bad reviews, the old Spot Messenger worked as advertised for most people and even many people that complained about the lack of customer service admitted the product worked. The new Spot Gen3 received an average rating of 3.8/5.0 (160 total reviews). Again, most people (72.1%) gave scores of 4 or 5, 4.9% gave a score of 3 and the rest (23.0%) gave it low scores of 1 or 2. This is a slight improvement over the older model, but I also noticed that many of the “Good” reviews were from people that had not actually used the product yet. I guess they were pleased with the purchase of their shiny new toy and were simply excited about the possibilities of communicating and sharing their adventures with friends and family. In reading the reviews, I was struck by how many people said most, if not all of their messages failed to get out. I read the most recent reviews again and noted if they mentioned if their messages had been received or not. Out of 112 reviewers that mentioned messages, 58.9% said most of their messages were received while 41.1% of reviewers complained about too many messages that were not received. Granted, I cherry picked these bad reviews because they had the biggest impact on me. I have tried to be fair and previously mentioned the facts that 55.7% (Spot Messenger) and 72.1% (Spot Gen3) of reviewers gave good or excellent ratings (4 or 5). But despite these problems, Spot does offer the least expensive way to potentially have messaging and tracking ability (described in detail in first post), so for those that still want to give it a try, the cost of a Spot Messenger and the $9.99 monthly service plan totals $674 (over 5 years) or $11.14 per month for 60 months (less if paid annually). Remember I make the comparison over 5 years because a major portion of the cost of a PLB is the battery which have been designed to last 5 or 6 years (See comparison Table in last post). These costs do not include batteries needed for the satellite messengers. This basic plan would allow three different one-way messages and SOS service, but no tracking unless you pay an additional $4.99 monthly fee for basic tracking. To add advanced tracking, the Spot Gen3 and the $14.99 monthly service plan plus $4.99 per month for advanced tracking which totals $1,346 or $22.43 per month (less if paid annually). This also does not include the cost of batteries. So, to answer the original question, I would consider using Spot for its messaging ability, but never as the only means of sending an SOS. I always take a PLB with me anytime I was off the grid. The messaging ability provided by the Spot Messenger or Spot Gen3 could be used as a low cost addition to a PLB where a one-way “I’m OK” messages and GPS tracking might let “Momma” sleep at night (if messages get through). As a side note, it appears one of the biggest issues with Spot’s ability to acquire satellites and send messages has to do with hikers trying to send messages while on the move. The units have the best chance of quickly acquiring satellites if they are pointed upright at a clear and open view of the sky. If the satellite messenger is placed in an area with a clear view of the sky for at least 10 minutes, that should solve most problems with sending messages. Tracking is a different issue. Tracking should work while the person is moving otherwise, what is the point? Part of the problem is while walking, the devices may not be held in the best position to find satellites and communication is hindered as the person walks under thick tree canopies, close to cliff faces or down into canyons where the sky is obscured. Since satellite messengers do not send signals as powerful as the signals from PLBs (5 watts), they are more likely to fail to contact the satellites because of overhead obstructions. I know there are many people that have been rescued using Spot services, but I have to consider the 41% of the reviewers that said they had problems with messages that did not get out. I will also follow the advice of many reviewers that warn us not to get involved with this company, so I will not. Part 1: Are Satellite Messengers a Good Alternative for PLBs? Part 4: Is Delorme InReach a Good Alternative to PLBs? 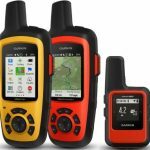 Is Garmin/Delorme InReach a Good Alternative for PLBs? Spot messages that did not get out were “O.K.” or custom messages that needed to get a GPS fix first. I have read that the satellites which the spot sends messages through is 27x closer, so power can’t be compared to a PLB. The help and SOS messages do not require a GPS fix prior to sending like the other two. You can test the SOS success and conditions for success by sending a help message out to your own phone. This testing ability will give you the best knowledge of how effective the spot can be as a PLB. Thanks for the comment Joe. The message was a little confusing, so I edited it for clarity. If my edits don’t convey your original message, please let me know and I will correct it. Your statement about Spot messages that failed to be transmitted because they were waiting on a GPS fix may be true, but doesn’t help the folks that complained about messages not getting out. I will take your word for it that Spot’s satellite is 27 times closer than the international COSPAS/SARSAT satellites, but power for signal transmission through the atmosphere and forest cover is the issue, not transmittal through the vacuum of space. Spot has problems getting messages out is some areas, but PLBs will always get the message out, even in the worst case scenario like a north-south slot canyon. It is a good thing that you can test your SOS message by sending it to your own phone, but who needs a PLB when you have cell phone service? The problem will be when you are out of cell phone range and really need help. That is when the message has to get out. There are obviously lots of people that use Spot and there are many documented cases where people were rescued by Spot. I am considering getting a device (Spot or Delorme?) so I can have texting ability, but I will still always carry a real PLB. Thank you for this series of articles. It would be nice if you would put a date on them and the comments so the rest of us would know how current your information is. Many thanks. SS: The original post was published Aug. 2014. I took another look last year (March & June 2016) at the Spot (technology and customer service). I made a few edits, but basically they are still selling the same Spot and Gen 3 units today (Mar. 2017) and they still get the same terrible comments about customer service. But so does most cable, phone and internet company, yet most of us have phones, cable TV (I don’t anymore) and internet service. Their overall customer rating is 4.0 out of 5, so the Spot device and subscription service works for most people and many people have been rescued from serious situations. I have decided it is not for me (yet) and still always carry our PLB every time we go out. I am hoping as more companies put satellites in orbit or have access to them, there will be more competition and options for true “off-grid” messenger services. Thank you for the wonderful articles. I was thinking of getting an old Garmin 60CSx (Garmin GPS) and (after reading all of this) maybe something like an ACR ResQLink. Though I’d really like to have shareable tracking. Maybe an ACR PLB + something like a Delorme InReach (nowadays) would be best? Thanks. I think there is no question that if you spend time in the backcountry (on foot or in a vehicle), you need a PLB. The need for a GPS is different thing. You need GPS (or good map, compass and skill) to know where you are and where you want to go in the backcountry. Depending on the PLB, you will not have enough (if any) “pings” to find the shortest way back to the truck or to mark that new campsite, fishing hole or elk wallow you found. In my mind, both a PLB and a GPS are a must. I agree that to have GPS and the ability text and/or share tracks would be better, but I haven’t yet been able to justify the cost.